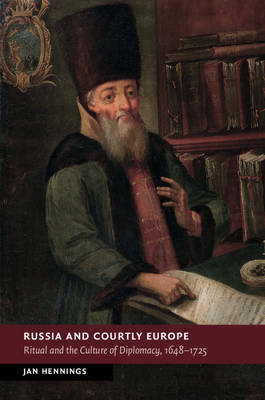 In this book on early modern diplomacy, Jan Hennings explores the relationship between European powers and Russia beyond the conventional East-West divide from the Peace of Westphalia to the reign of Peter the Great. He examines how, at a moment of new departure in both Europe and Russia, the norms shaping diplomatic practice emerged from the complex relations and direct encounters within the world of princely courts rather than from incompatible political cultures. He makes clear the connections between dynastic representation, politics and foreign relations, and shows that Russia, despite its perceived isolation and cultural distinctiveness, participated in the developments and transformations that were taking place more broadly in diplomacy. The central themes of this study are the interlocking manifestations of social hierarchy, monarchical honour and sovereign status in both text and ritual. Related issues of diplomatic customs, institutional structures, personnel, negotiation practice, international law, and the question of cultural transfer also figure prominently.